Announcing the release of my new novel, HUNTING MONA LISA, the much-anticipated follow-up to STEALING MONA LISA. In the opening days of World War II, 15-year-old Delphine Bouchet is abandoned by her museum curator father when he spirits the Mona Lisa out of Paris ahead of the advancing German army. Four years later, news of her father’s arrest for murder in a village in the South of France forces 19-year-old Delphine to escape occupied Paris in an attempt to save him and to keep the world’s greatest painting out of the hands of a cunning Nazi agent. Sample or buy now on AMAZON. Kirkus Reviews Best of Fiction 2011 list! The Library Journal's Best Mysteries of 2011 list! Announcing the release of the trade paperback on October 30, 2012! Now Available on AUDIBLE. Read by the author. Play The Trailer for Stealing Mona Lisa! "An intriguing and captivating story about a great scam with a twist in the world of con artists, art forgery and mystery." "Morton excels at mixing fact, fiction, and conjecture in this entertaining art caper." 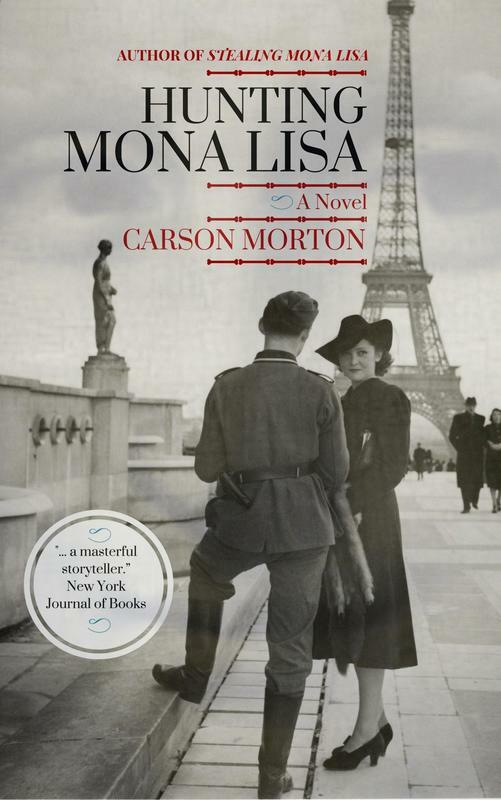 Stealing Mona Lisa is a quick read, an enjoyable caper mystery. It is to novels what Ocean’s 11 is to films. If you’re looking for an easy-going adventure, I highly recommend it. If you enjoy a good mystery... you will enjoy this novel. It’s a good one! I'm really honored that one of my stories (about my dear old Dad) is featured in Ken Follett's new e-book, REAL STORIES OF WORLD WAR TWO -Personal Accounts inspired by Ken Follett's WINTER OF THE WORLD. All profits go to ABF, the Soldier's Charity.